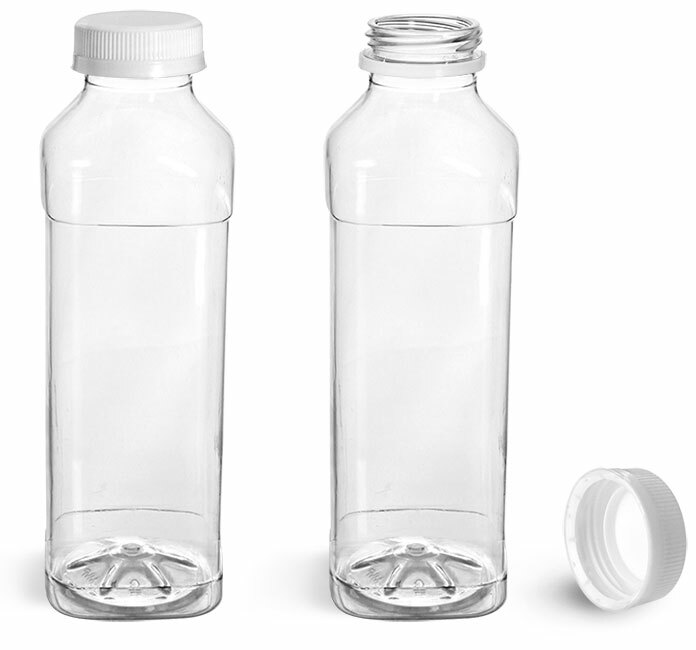 Clear square beverage bottles can be used to effectively showcase pure juice blends in three convenient sizes to fit your health drink needs. 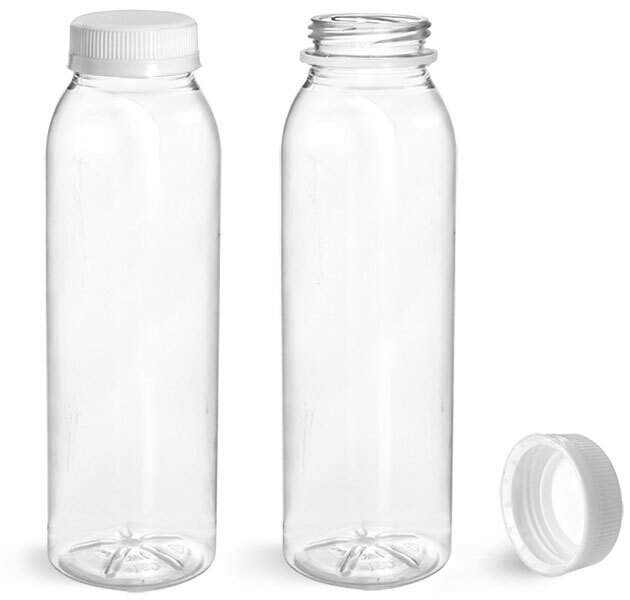 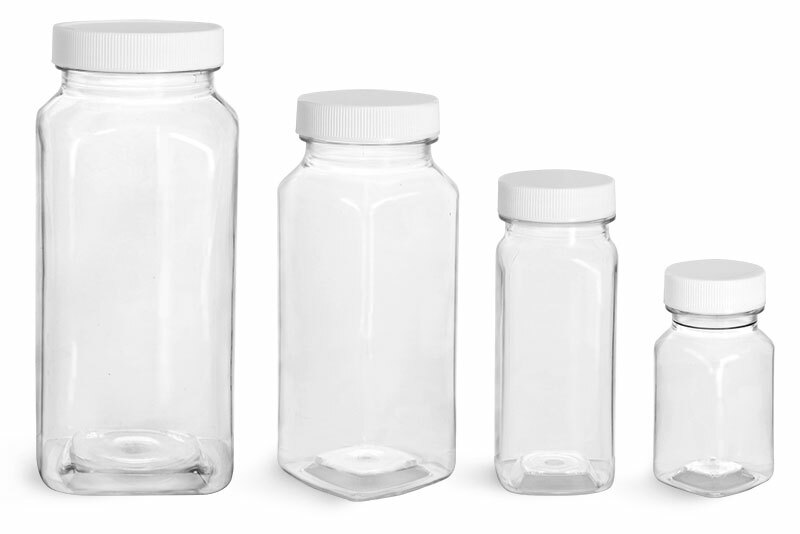 These pure juice bottles feature wide openings for easy drinking, and are compatible with white tamper evident plastic caps. 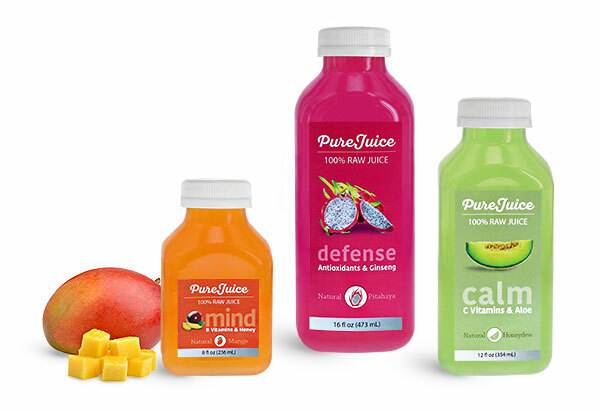 For your healthy and delicious juices, be sure to give these square plastic beverage bottles a try!